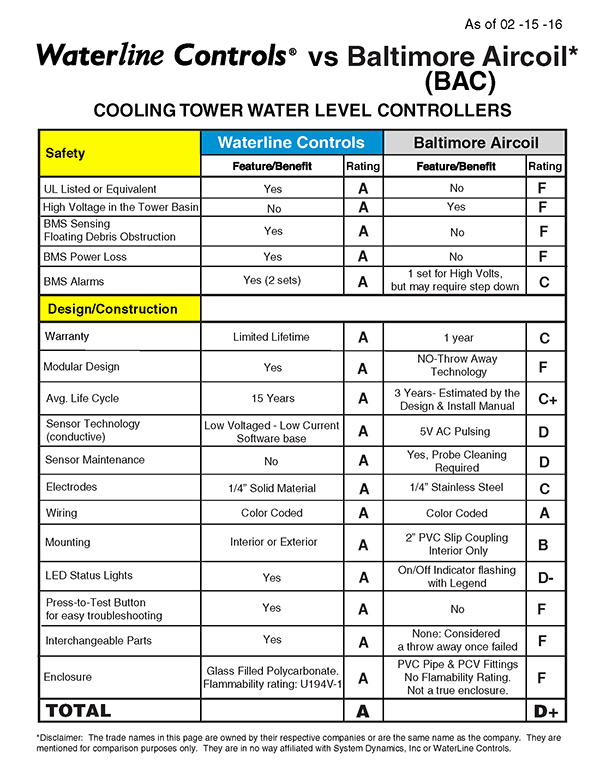 Waterline Controls has been used on many different Baltimore Aircoil Company water cooled products, replacing either their electric water level controls or float switches. After a terrible failure of the BAC factory electric water level control the entire unit needs to be replaced. We estimate the cost to replace it can vary between $1,200.00 – $2,400.00 or more depending on who and how it gets accomplished. 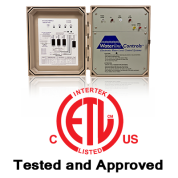 We believe the primary reason Facility Managers and Service Technicians choose Waterline Controls is because our controls are designed to allow the pieces and parts in the sensor and in the control panels to be changed in the field over the life of the controls, making it a permanent installation. When the operator is looking to upgrade from a float switch to a powered version of water level control in their BAC Cooling Tower they tend to choose ours because of the 5 Year Limited Warranty, the fifteen year average duty cycle and the overall intuitive interface and ease of use of the product. Many times we see owners who have put Waterline Controls on a single cooling tower to test it and then decide to put Waterline Controls on all their cooling towers including the BAC Cooling Towers. This process, in some cases, we have seen happen over several years. They buy the first one, watch it perform for a year and then move to replace all their water level control systems with Waterline Controls units. Without a good water level control system to help a facility person manage the water in an environment even the best cooling towers will not work as designed.